Are You Sure Your Mortgage Interest Is Tax Deductible? | Fournier Law Firm, Ltd.
Are You Sure Your Mortgage Interest Is Tax Deductible? 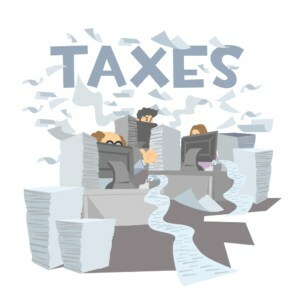 As you prepare your taxes this year, you may or may not notice a re-designed form 1098, the form used to report the amount you paid in mortgage interest for the tax year. Although there have not been any changes made to the mortgage interest deduction regulations in several years, in 2015 the U.S. Congress did pass new rules with regard to how mortgage interest is reported. The form now requires more details to ensure homeowners’ properties and mortgages indeed qualify. According to an article published by Kiplinger, titled Mortgage Interest Tax Deductions May Get Extra Scrutiny This Year, “The new form will include the mortgage origination date, the balance at the end of last year and the address of the property securing the loan, as well as other information useful to the IRS.” As a result, we could see the IRS perform more audits that specifically focus on mortgage interest. Therefore, it is important for homeowners to have a clear understanding of what properties qualify for mortgage interest deductions as well as how much and what kind of debt falls within the IRS guidelines before filing your taxes this year. The Kiplinger article provides specific details and helpful examples, click here to read the entire article.